a 75-minute selection of experimental animated short films directed, written or produced by LatinAmerican and Latina women artists between 2011 and 2017. This compilation is the result of an open call for works, which circulated through our website, social media and personal contacts. Our goal was to challenge our own maps of animation production in the region, and to start formulating more productive questions about how women participate in animation. 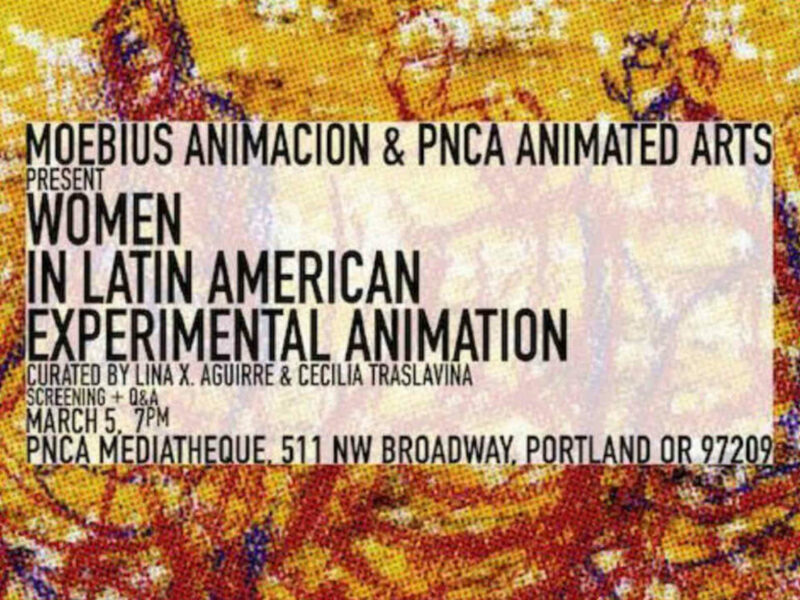 The selection presented intends to give a taste of the diversity found and to underscore the strong presence of human and social issues in the creative work of Latin American women animators. It will be presented in the Mediatheque on March 5th at 7pm. The program will run about two hours and include a Q+A! $5 for ASIFA members, and $10 public. Please joins us this weekend (and next weekend!) 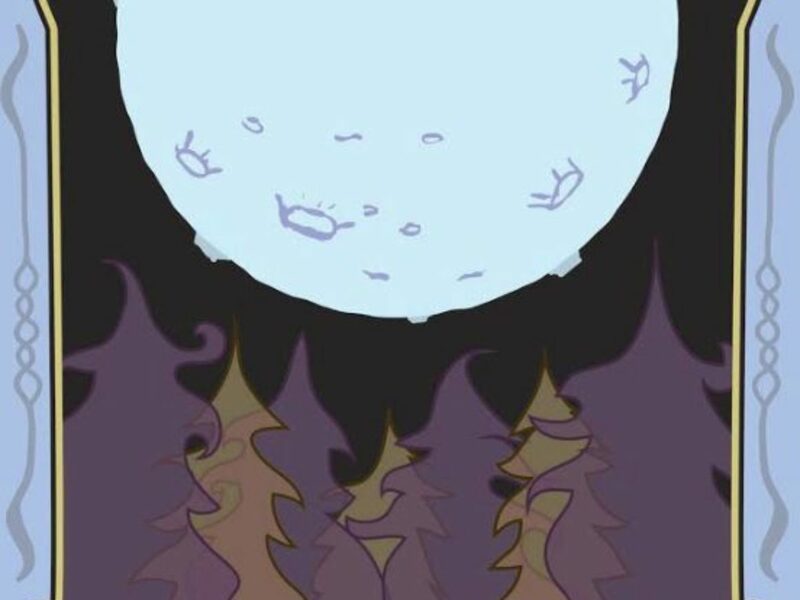 for the World Premiere of Homebrew 2019: A PDX Animation Showcase, presented by Artful Raven Studios! HOMEBREW PDX turns four this year! This showcase is as fresh as ever with a new collection of works from local animators making the screening fun, refreshing and very Portland. Organized and moderated by Sophya Vidal, a long-standing member of the animation and theatre community, creative and thoughtful storytelling are at the core of the program. The screening includes several new works. It will be followed by a panel with many of the creators, so bring your best questions and get to know your Portland Animation Ambassadors. 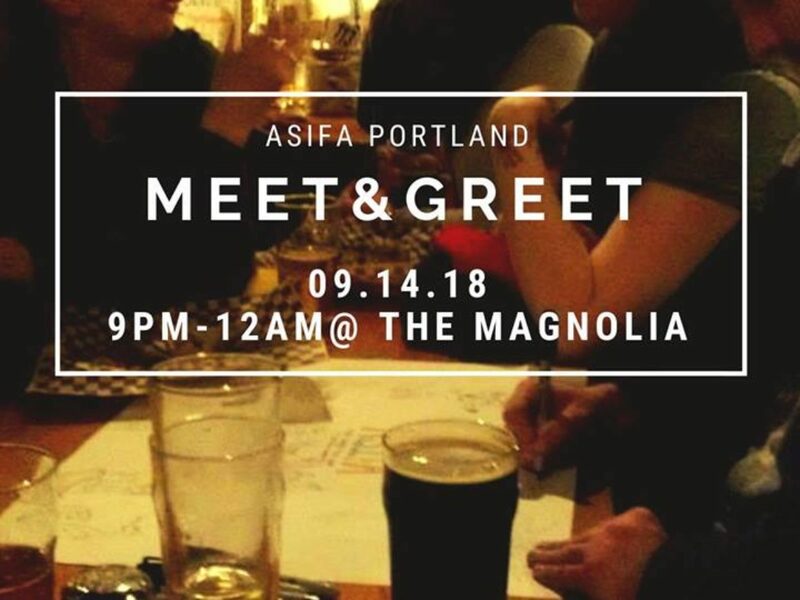 This event is brought to you by The Animation Resource Community Service (ARCS) and Portland ASIFA. 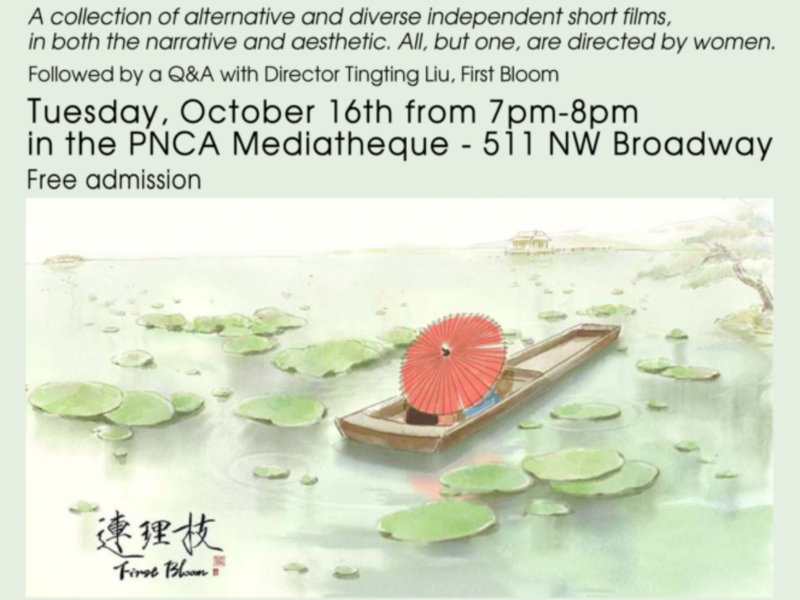 PNCA Animated Arts welcomes all ASIFA members to come and visit with Ron Diamond, producer of the Animation Show of Shows! 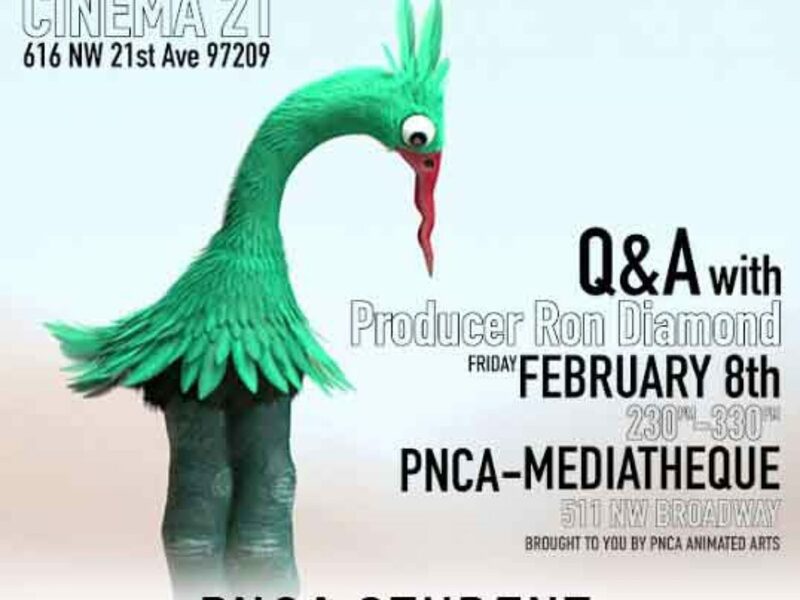 The Q&A event is for PNCA students and ASIFA members only. However, ASIFA membership can be renewed at the event. 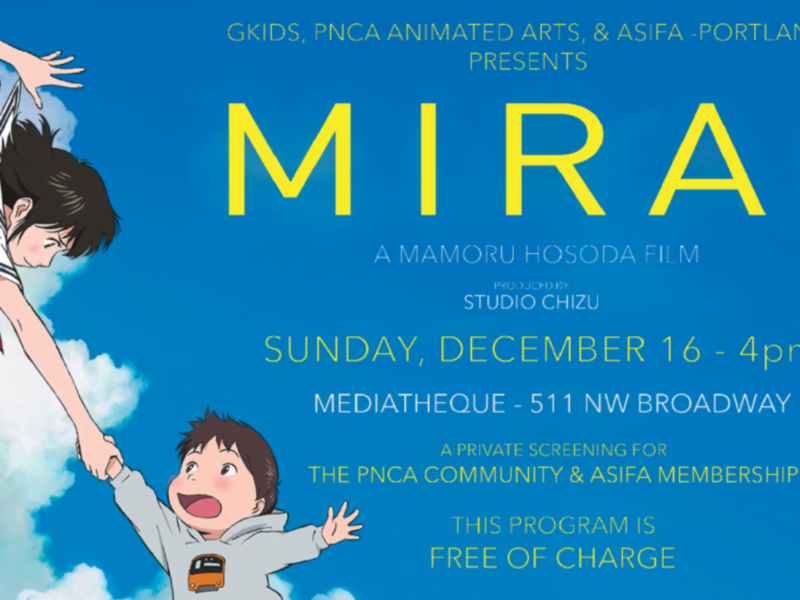 Come see Mamoru Hosoda’s recent film, Mirai at PNCA’s Mediatheque on December 16th at 4pm. 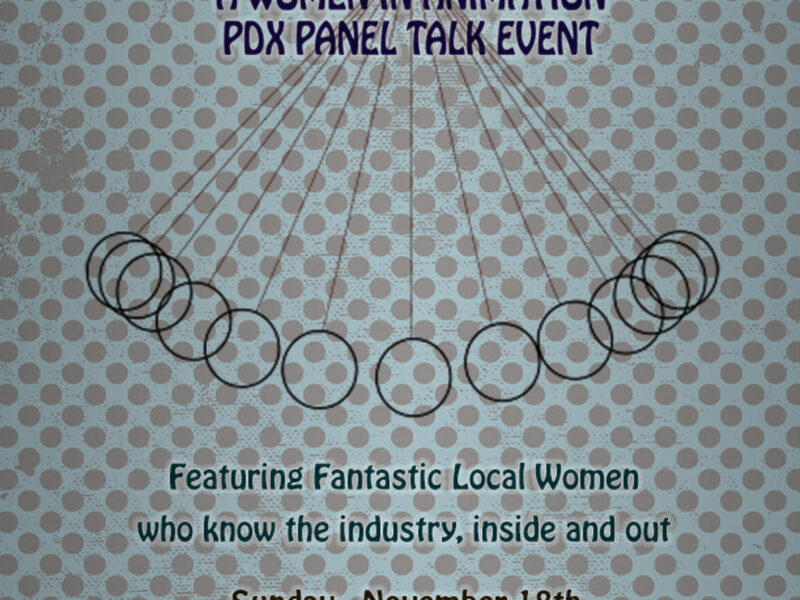 Join us after the Best of the NW Animation Fest for a meet and greet! Grab a drink and discuss the show! A collection of alternative and diverse independent short films, in both narrative and aesthetic. All but one are directed by women. Followed by a Q&A with Director TingTing Liu of the film, First Bloom. featuring fantastic local women who know the industry inside and out. Summer greetings from ASIFA Portland! 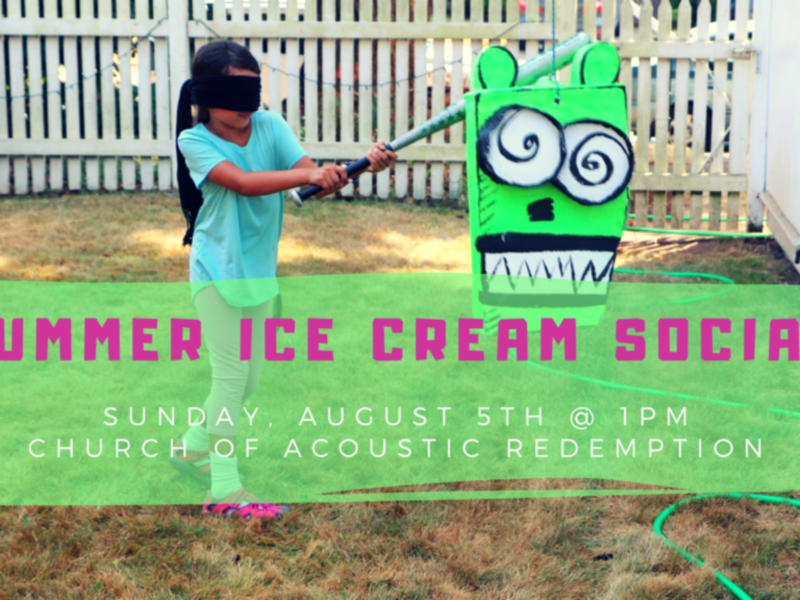 Please come out for our long-running Summer Social, presented at The Church of Acoustic Redemption, just north of downtown St. Johns. We’ll feature ice cream, drinks, and BBQ. You’re welcome to bring toppings or enjoy some of ours, and your own eats and drinks as it suits you. You’ll enjoy socializing, corn hole, raffle items, cider/juice pressing (possible) and a pinata at one of the finest, friendliest retired churches in the Portland area. All humans and friendly dogs welcome, please join us!